The opportunity to produce bountiful levels of vital food crops such as apples, tomatoes and watermelons could be boosted by reducing a crop’s demand for pollinators, new research published in Journal of Applied Ecology has shown. 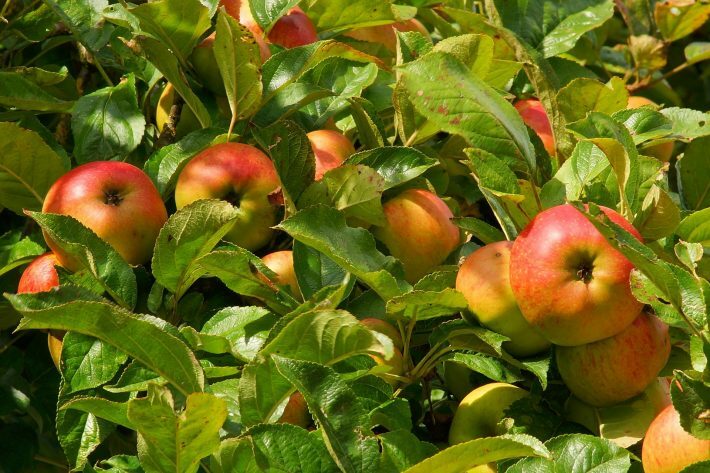 A team of researchers from the University of Exeter have conducted new research into how plant breeders are striving to improve fruit yields from crops, across the globe, by bi-passing the plants’ need for insect pollination to reproduce. This is done by inducing parthenocarpy, artificially or via genetic modification, which makes a plant produce seedless fruits without the need for pollination. The study shows that parthenocarpy increases fruit quality and quantity amongst crops that would otherwise require pollination. However, the team insist parthenocarpy should not be used as a “panacea for agricultural success” – but should sit alongside environmentally sound practices to boost pollinator populations. The research is published in Journal of Applied Ecology on 11 November 2016. “It is of course vital that we still encourage and increase our native pollinator populations to ensure crops and wild plants can thrive as much as possible. The pioneering study presented a meta-analysis of existing studies to examine the extent and effectiveness of parthenocarpy-promoting techniques which include genetic modification, hormone application and selective breeding. The study showed that all the techniques increased fruit quantity and quality in 18 crops that traditionally depend on pollinators. Consequently, parthenocarpy could improve fruit quality and quantity in conditions usually adverse for pollination, such as during periods of poor light or cooler temperatures. The researchers believe the study shows that parthenocarpic crop plants could allow producers to extend growing seasons, increase the resilience of crops to adverse conditions, and ultimately improve food security. However, the research team also insist that the development of these seedless fruits should not reduce efforts to encourage insect pollinators to thrive, with fears over the health of bumblebee and honeybee colonies potentially having a serious impact for agro-ecosystems. Parthenocarpic plants still provide pollen and nectar, which can improve pollinator populations in the landscape, even if the plants themselves don’t rely on them, so exploring this technology is unlikely to be detrimental to pollinators. Re-evaluating strategies for pollinator dependent crops: how useful is parthenocarpy? By Jessica Knapp, Lewis Bartlett and Juliet Osborne from the University of Exeter is published in the Journal of Applied Ecology. This work was funded as part of PhD studentship sponsored by the Agriculture and Horticulture Development Board, UK, in collaboration with the Environment and Sustainability Institute at the University of Exeter.